What is a Science Slam? Science Slam is a science communication format where young scientists explain their research projects in short 10-minute-talks that are easy to follow and afterwards the audience gets to vote. The important thing is not primarily the scientific outcome of their work, but to explain it in an understandable, entertaining and concise way. 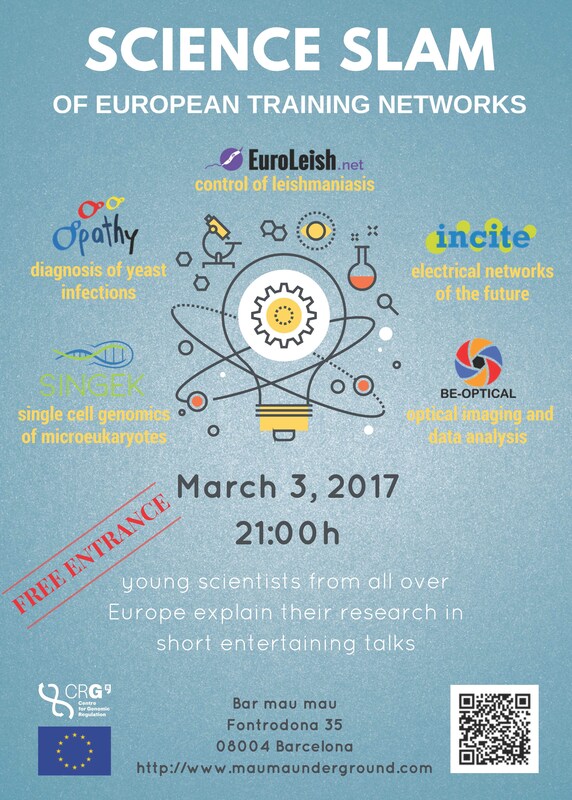 The BCN Science Slam was the final event of a science communication workshop for PhD students from five different European Training Networks. During the workshop six finalists were selected to present at the BCN Science Slam, two further finalists were selected from external applicants. A video summary of the event can be found here. Constantina Theofanopoulou (University of Barcelona, for video click here) and Miriam Gutierrez (University Pompeu Fabra, for video click here) participated as "external" speakers. The winner of the BCN Science Slam, Constantina Theofanopoulou, was invited to present in the Science Slam during the annual meeting of the Marie Curie Alumni Association in Salamanca, Spain on 24th of March. 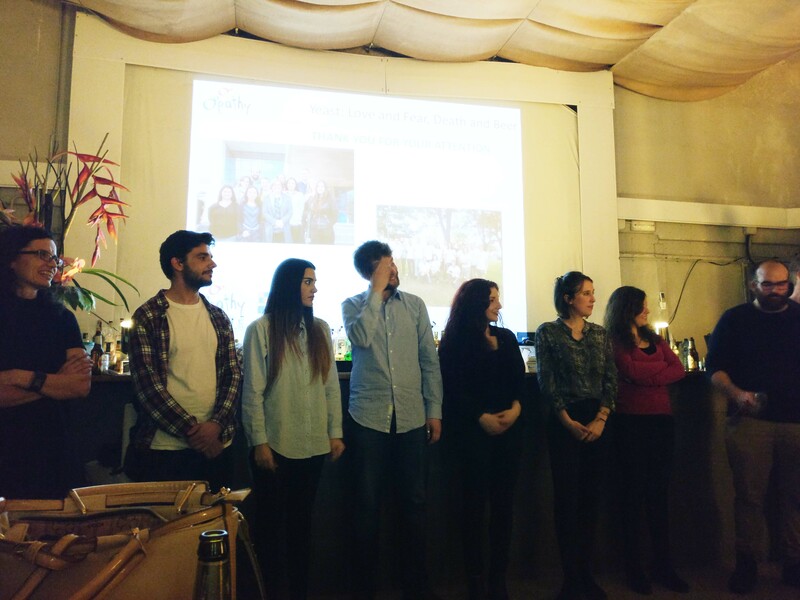 The BCN Science Slam took place from 21:00 to 22:30 in the bar "mau mau". More pictures of the event can be found here.